What do you get when you put two young but experienced magicians on stage together? A high-octane explosion of colour and a healthy dash of teenage attitude. Welcome to Cardistry! Made up of Ash Hodgkinson and Lucas Itrawan, both 14. In Cardistry Cubed, the boys base their show around the most popular show of the 1980s: the Rubik’s Cube. Three things make for a great magic show: the magic itself, the narrative structure, and the magician’s personality. The narrative structure: a non-magical opening prepares the audience to expect surprises. From there, Cardistry opens loops – starting an effect but leaving its completion until later in the show – to guide you through to the most astonishing effect in the show. Their personality: Lucas and Ash have worked together for years. They’re genuine friends and trust each other. As a result, they relax and have a lot of fun. I have one suggestion. Near the start of the show, there’s a video of Cardistry performing magic with cards – after all, that’s what they do. But I felt that the video stole away from the intimacy of a live performance. 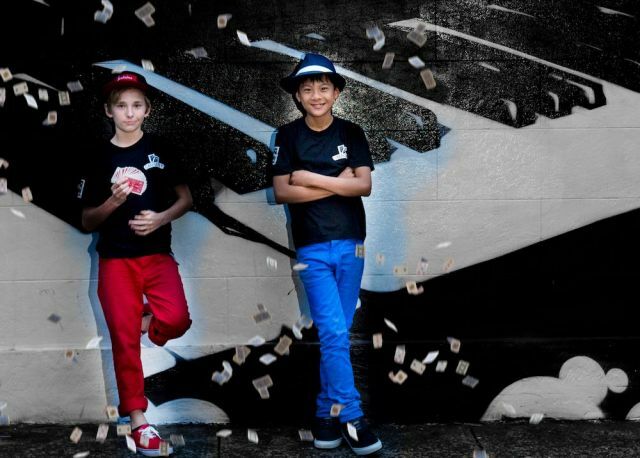 Cardistry are on track to become one of the most recognisable names in Australian magic. If they’re this good now, how good will they be in five years? 10 years? 20 years?